يقع Peppers Clearwater Resort في Northwood, كرايستشرش, هو خيار شائع بين المسافرين. يمكن من هنا للضيوف الاستمتاع بسهولة الوصول إلى كل ما تقدمه هذه المدينة النابضة بالحياة. سوف يعشق النزلاء موقع هذا الفندق، فهو قريب من أهم المعالم السياحية في المدينة كمثل Clearwater Golf Club, Ko Tane Living Maori Village, وولوبانك وايلدلايف . ببساطة كل الخدمات وأساليب الضيافة التي تشتهر بها Mantra Group تجعلك تشعر وكأنك في بيتك. يقدم الفندق فرصة للاستمتاع بشريحة واسعة من الخدمات بما فيها: خدمة سيارات الأجرة, مكتب الاستقبال على مدار الساعة, تسجيل وصول/خروج سريع, واي فاي في المناطق العامة, صف السيارات . ادخل إلى واحدة من الغرف 68 وتخلص من عناء نهار طويل بمساعدة مجموعة كبيرة من الخدمات كمثل تلفزيون بشاشة مسطحة, قهوة فورية مجانية, شاي مجاني, بياضات, مرآة الموجودة في بعض الغرف. يمكنك طلب اللائحة الكاملة للخدمات في الفندق ومن بينها ملعب جولف (ضمن العقار), صيد السمك, تدليك, ملعب تنس, حديقة. مهما كانت أسبابك لزيارة كرايستشرش، فإن Peppers Clearwater Resort هو الخيار الأفضل لإقامة مثيرة وممتعة. Lovely accommodation for a family with a huge loving area and bedroom. This was the first of two Peppers properties that we stayed in. We have never encountered this chain of accommodation before and we s=are developing a liking to it. It is a very comfortable stay that feels luxurious even though we are paying very reasonable per night charges. 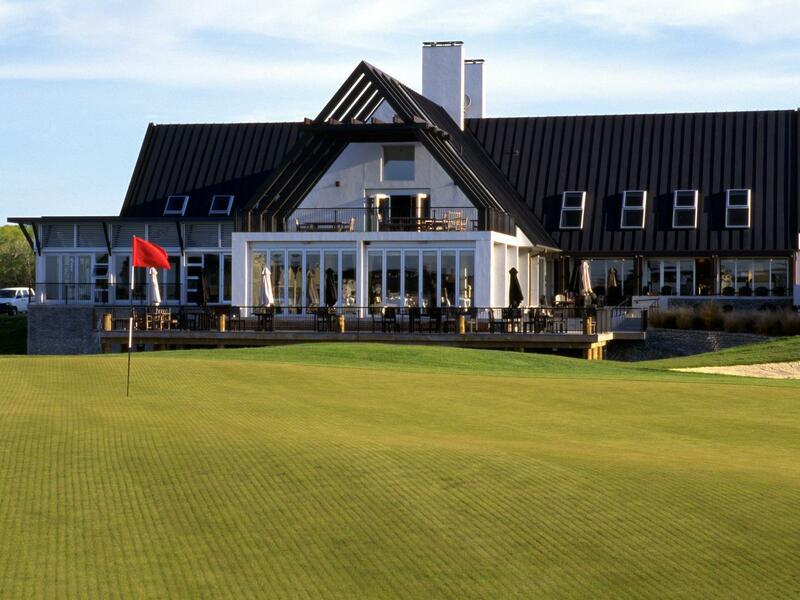 Peppers Clearwater is some 10 mins away from Christchurch airport and has a golf course within its compound. Very tranquil place. You don't have to play golf to enjoy this resort. Our villa was overlooking the lake and we had drinks on the balcony at sunset. Nice restaurant, friendly staff. Would stay again. Apart from crazy neighbour, it was an amazing experience as been upgraded to lake view suite. We stayed one night and arrived at late night around 22:30. Was told by hotel reception you can park in front of the door, in case fully parked you can park somewhere nearby. Parked in front of the house beside assigned suite and went back to room. Once opened my luggage (within 10 minutes), my room phone ringed and hotel reception told me I need to drive my car away from current spot. As long as I stepped out of the room, the crazy neighbour started to shout at me, emphasise he is a Doctor who was waiting by his patient. I’m the A hole who blocked his car garage and stopped him to save people, which repeated 5-6 times then move to even ‘funny’ scold e.g. do you know that’s a “NewZealand” sign showing a home?! Even though told him, we arrived at late night which was very dark and cannot see his prestige sign. It’s just a number “60” which cannot distinguished as NewZealand / Aust or anywhere from the world. He also prefer standing there and shout at me for 10 mins rather than saving his previous time for his patient. At the end, surely he didn’t really leave his home for his patient. Cannot believe that’s a behaviour of a well educated doctor. Hopefully he is not, otherwise NZ people are so poor to have such kind of doctor. Other experience of the stay was good really!! The access to room was partially flooded and its a surprise no one came to remove the water. Lack of surveillance and I nearly slipped. I wonder what will happen if a senior slips and is seriously injured as no one will know. Lovely lake view. Amazing staff. Apartment was great too- my 2 year old loved it. Restaurant was great in accommodating to my child’s meal request - happy! All smiles for this resort. Great value near the airport- very peaceful and secluded. Loved that we had access to free laundry. The breakfast in the morning was outstanding! Disappointing one night stay. Our room was filled with pesky cooking smell on arrival. Needed to open up window whole night for fresh air. Bed linen also carried bed smell as a result. Food smells can also be traced to microwave. Dirty and mouldy ventilation outlet in the toilet. Large bed but not at all comfy, not what we wanted after a long 7 hours drive. Sound insulation is pretty bad and we can hear noises from next door neighbour as we walked in the room. No complimentary bottles of water, disposable slipper in the room. Tranquil environment but run down and dated room, not keen to return in the future. The location is good if you have a car, it is about 10 mins drive to the airport, quite far away from the city centre. Friendly staff and quick check out. This is a wonderful place to stay, beautiful and tranquil surrounds, friendly efficient staff and fantastic food. It was a little far from the airport but the extra travel time was worth it. We would definately stay here again. Arrived earlier to do a golf course, The room should be ready in some mn. 2 Hours later , room not ready I have to go to golf club locker with all my luggage to change myself , golf staff very coopérative. The vue from room is very nice but It was very hot difficult to get back to acceptable temperature. The resort is upgraded due to very nice golf course and environment. 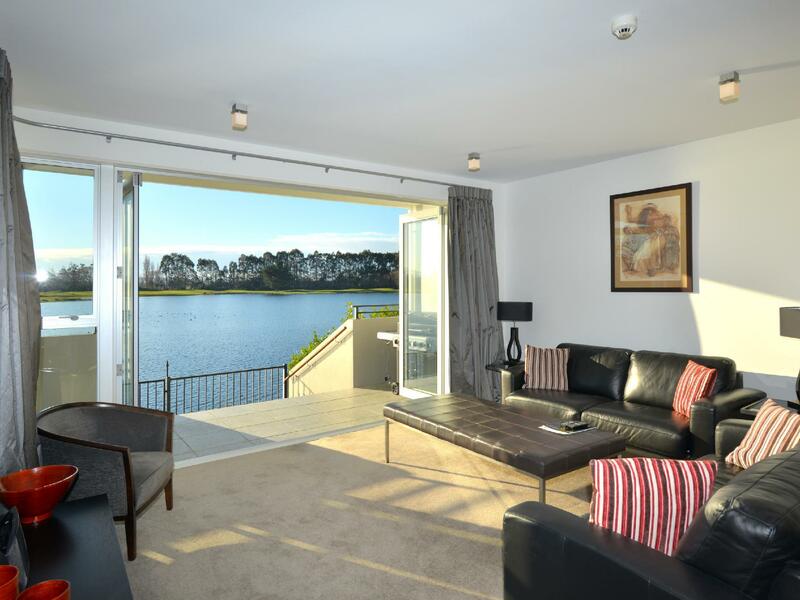 Huge rooms with beautiful views over the lake and golf course. Out of the city centre and close to the airport. 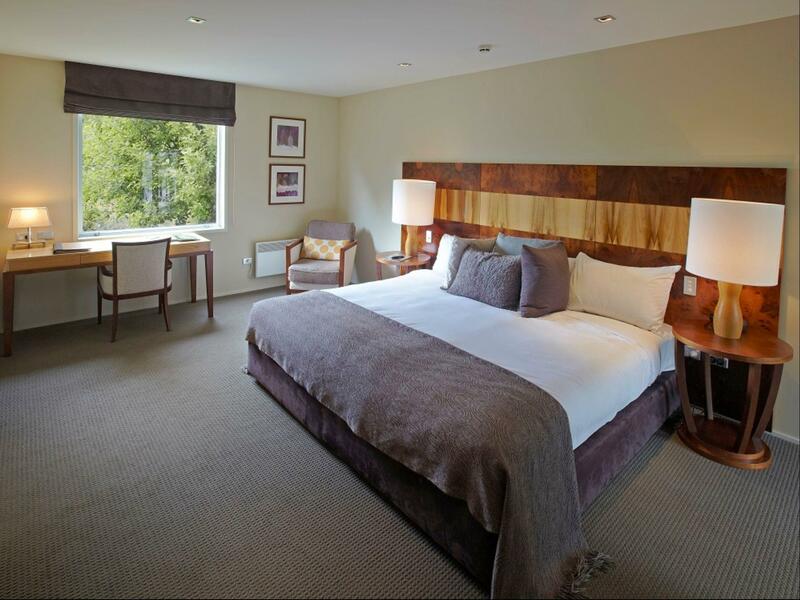 Staff were nice and thoroughly enjoyed our stay! 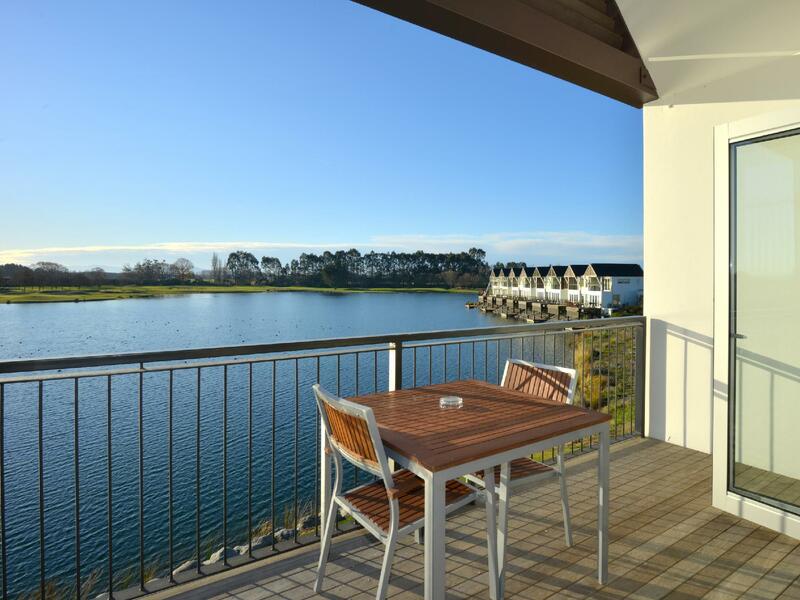 7 mins drive away from Christchurch International Airport, this place is away from the city but the views are simply breathtaking. Room price might be higher as compared to others but it is definitely worth it if you enjoy nature scenery. If you don't have a car, this might be a little challenging. 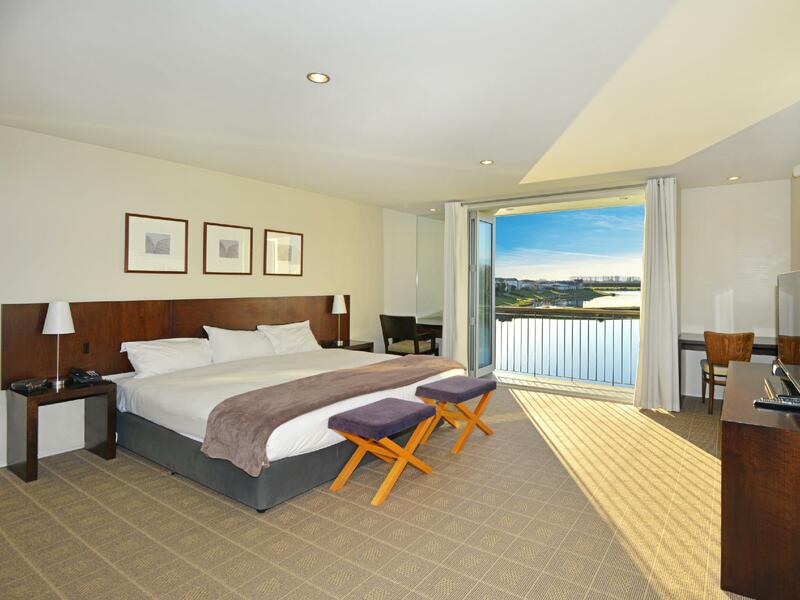 If not, this is definitely the place to stay at when you are in Christchurch! Beautiful lake view. Clean big rooms and well equipped! Only problem is the distance to the city. Otherwise, a great place to relax and recharge! Fantastic service, location, and facilities. Definitely good in Christchurch. The whole place is peaceful and serene. Downtown is still under construction, so its good to be away from the center. Well... I should have known after the first glance at the room that this resort doesn't care about maintenance of their rooms (then where else would you pay your attention?? I wonder). We changed our room for significant damage to the ceiling and leakage which we found out in the middle of night. How things were managed here wasn't exactly satisfying. The new room which we moved into was not any better but most annoyingly it was dusty and had pile of dead flies all around the corner. I was surprised to hear all rooms are booked and had guests every day. In my perspectives, it seemed it was vacant and not cleaned for ages. The staffs at the front are too young and showed lack of professional attitude. I was just disappointed that this seemed to be going on for a while and I hadn't noticed it earlier from the recent review of this resort. If Peppers clearwater wants their reputatuon back, they will need a lot of effort.